The historical fiction of Alison Weir flows like the best novels, yet it’s rooted in exhaustive research. However, even though Weir’s books have a scholarly pedigree they’re inviting and accessible reading. YA – A wonderfully detailed, extensively researched collective biography. Although the book is undoubtedly the work of a Tudor scholar, with sources ranging from previous biographies of these women to private papers, letters, diaries, and diplomatic sources, it is also the work of a competent fiction writer. 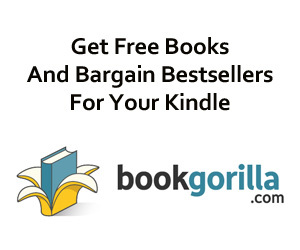 The narrative is free flowing, humorous, informative, and readable. At his death in 1547, King Henry VIII left four heirs to the English throne: his only son, the nine-year-old Prince Edward; the Lady Mary, the adult daughter of his first wife Katherine of Aragon; the Lady Elizabeth, the teenage daughter of his second wife Anne Boleyn; and his young great-niece, the Lady Jane Grey. In this riveting account Alison Weir paints a unique portrait of these extraordinary rulers, examining their intricate relationships to each other and to history. She traces the tumult that followed Henry’s death, from the brief intrigue-filled reigns of the boy king Edward VI and the fragile Lady Jane Grey, to the savagery of “Bloody Mary,” and finally the accession of the politically adroit Elizabeth I. As always, Weir offers a fresh perspective on a period that has spawned many of the most enduring myths in English history, combining the best of the historian’s and the biographer’s art. 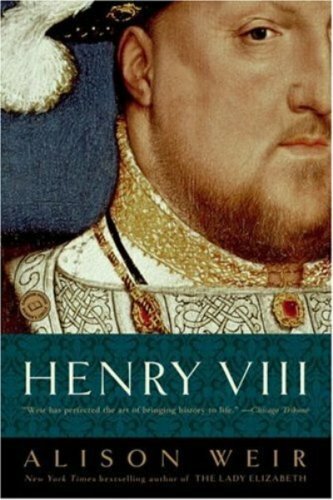 For fans of Wolf Hall, Alison Weir’s New York Times bestselling biography of Henry VIII brilliantly brings to life the king, the court, and the fascinating men and women who vied for its pleasures and rewards. BONUS: This edition contains an excerpt from Alison Weir’s Mary Boleyn. Henry VIII, renowned for his command of power, celebrated for his intellect, presided over the most stylish—and dangerous—court in Renaissance Europe. Scheming cardinals vied for power with newly rich landowners and merchants, brilliant painters and architects introduced a new splendor into art and design, and each of Henry’s six queens brought her own influence to bear upon the life of the court. 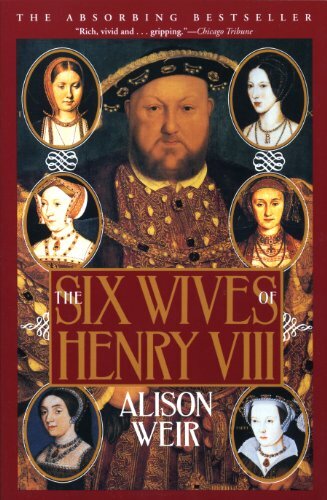 In her new book, Alison Weir, author of the finest royal chronicles of our time, brings to vibrant life the turbulent, complex figure of Henry VIII and the glittering court he made his own. In an age when a monarch’s domestic and political lives were inextricably intertwined, a king as powerful and brilliant as Henry VIII exercised enormous sway over the laws, the customs, and the culture of his kingdom. 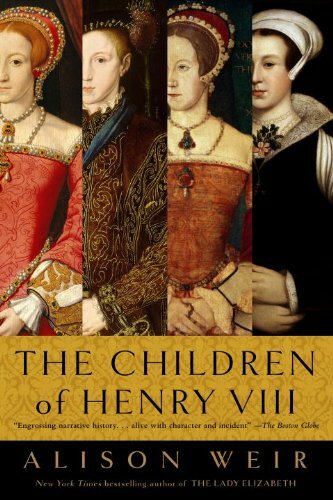 Yet as Weir shows in this swift, vivid narrative, Henry’s ministers, nobles, and wives were formidable figures in their own right, whose influence both enhanced and undermined the authority of the throne. On a grand stage rich in pageantry, intrigue, passion, and luxury, Weir records the many complex human dramas that swirled around Henry, while deftly weaving in an account of the intimate rituals and desires of England’s ruling class—their sexual practices, feasts and sports, tastes in books and music, houses and gardens. Stimulating and tumultuous, the court of Henry VIII attracted the finest minds and greatest beauties in Renaissance England—poets Wyatt and Surrey, the great portraitist Hans Holbein, “feasting ladies” like Elizabeth Blount and Elizabeth FitzWalter, the newly rich Boleyn family and the ancient aristocratic clans like the Howards and the Percies, along with the entourages and connections that came and went with each successive wife. The interactions between these individuals, and the terrible ends that befell so many of them, make Henry VIII: The King and His Court an absolutely spellbinding read. Meticulous in historic detail, narrated with high style and grand drama, Alison Weir brilliantly brings to life the king, the court, and the fascinating men and women who vied for its pleasures and rewards. NOTE: This edition does not contain illustrations. Many are familiar with the story of the much-married King Henry VIII of England and the celebrated reign of his daughter, Elizabeth I. But it is often forgotten that the life of the first Tudor queen, Elizabeth of York, Henry’s mother and Elizabeth’s grandmother, spanned one of England’s most dramatic and perilous periods. Now New York Times bestselling author and acclaimed historian Alison Weir presents the first modern biography of this extraordinary woman, whose very existence united the realm and ensured the survival of the Plantagenet bloodline. Her birth was greeted with as much pomp and ceremony as that of a male heir. The first child of King Edward IV, Elizabeth enjoyed all the glittering trappings of royalty. But after the death of her father; the disappearance and probable murder of her brothers—the Princes in the Tower; and the usurpation of the throne by her calculating uncle Richard III, Elizabeth found her world turned upside-down: She and her siblings were declared bastards. As Richard’s wife, Anne Neville, was dying, there were murmurs that the king sought to marry his niece Elizabeth, knowing that most people believed her to be England’s rightful queen. 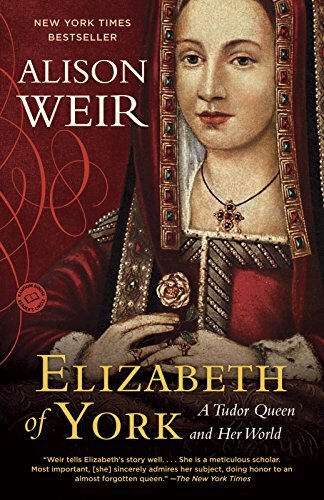 Weir addresses Elizabeth’s possible role in this and her covert support for Henry Tudor, the exiled pretender who defeated Richard at the Battle of Bosworth and was crowned Henry VII, first sovereign of the House of Tudor. Elizabeth’s subsequent marriage to Henry united the houses of York and Lancaster and signaled the end of the Wars of the Roses. For centuries historians have asserted that, as queen, she was kept under Henry’s firm grasp, but Weir shows that Elizabeth proved to be a model consort—pious and generous—who enjoyed the confidence of her husband, exerted a tangible and beneficial influence, and was revered by her son, the future King Henry VIII. Drawing from a rich trove of historical records, Weir gives a long overdue and much-deserved look at this unforgettable princess whose line descends to today’s British monarch—a woman who overcame tragedy and danger to become one of England’s most beloved consorts. Click here to browse the full catalog of books by Alison Weir.